We are a social enterprise that uses creativity to develop projects that value people and enable individuals to become confident, skillful and connected in their neighbourhoods. Presently our projects focus on areas such as healthy living, healthy eating, emotional wellbeing, social prescribing, volunteering and diversity. We are a company registered in England and Wales under company number 07153201. Working with and on behalf of Harrow Community Action, we provide a Fundraising Newsletter and assist Voluntary Sector Organisations with fundraising bids. We also recruit and support disadvantaged people to become volunteers. 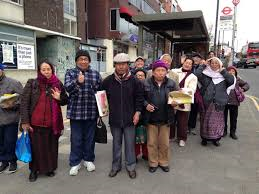 Social Prescribing in Harrow started in June 2017. Accessed via GP, health professional or self-referral, via a simple form that then triggers a holistic screening of the patient that leads to the offer of a prescription, bespoke to the patients needs of a plan to achieve better self-management of their health and overcoming the determinants of ill health. We are proud to be organising a series of borough wide events within Harrow for this important project on behalf of Harrow Carers.